The records for the Foreign Missions Conference of North America (FMCNA), covering the years 1894-1968, are now available! 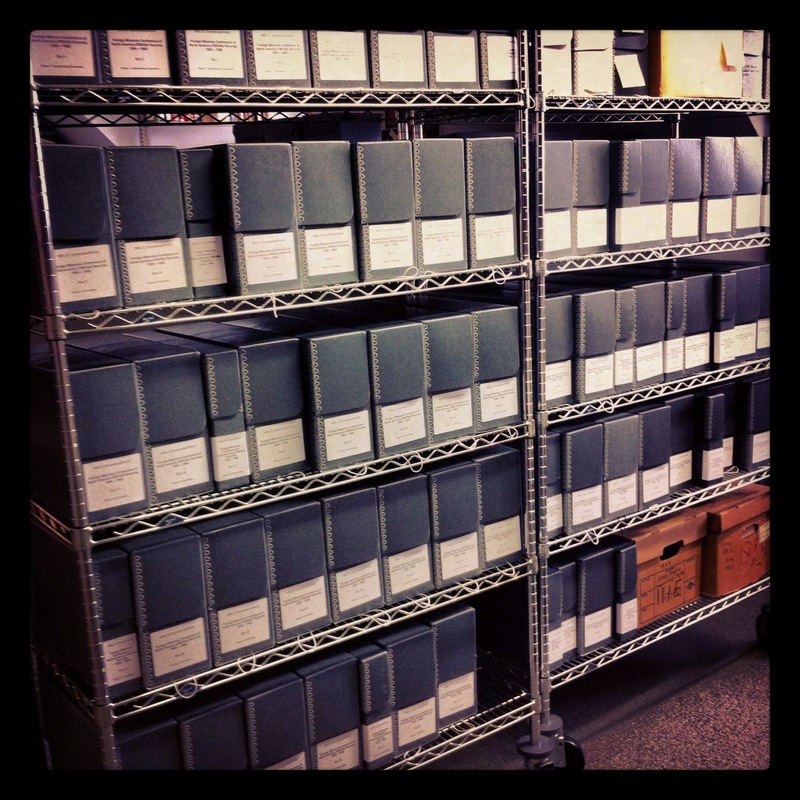 This large MRL12 collection totaling 68 boxes (30.50 linear feet) comprise materials documenting inception and institutional proceedings of the organization. Established to create dialogue between missions-based action committees confronting contemporary crises of war, famine, and poverty. Collection contains materials such as correspondence, records, pamphlets, and photographs. That and much more can be found through the Finding Aid. Enjoy! This entry was posted in Collections and tagged Archives, FMCNA, MRL, MRL12 on September 12, 2012 by Brigette C. Kamsler. I have the original repatriation card dated December 2, 1943 of Raymond L. Schmalz along with a small photo album and collection of photos, notes, etc of his time in the far east as a POW. As he was a civilian, as a missionary, I am having difficulty finding any remaining family members who would, I am sure, love to see these materials. Can you help?